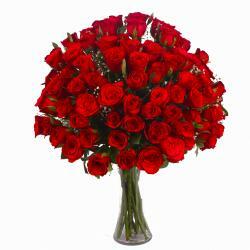 Product Consist : 25 Red Roses with green fillers in Glass Vase. 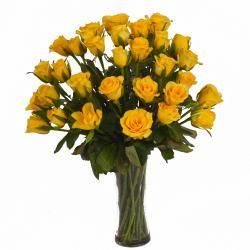 Rose stand for beauty and loyalty. 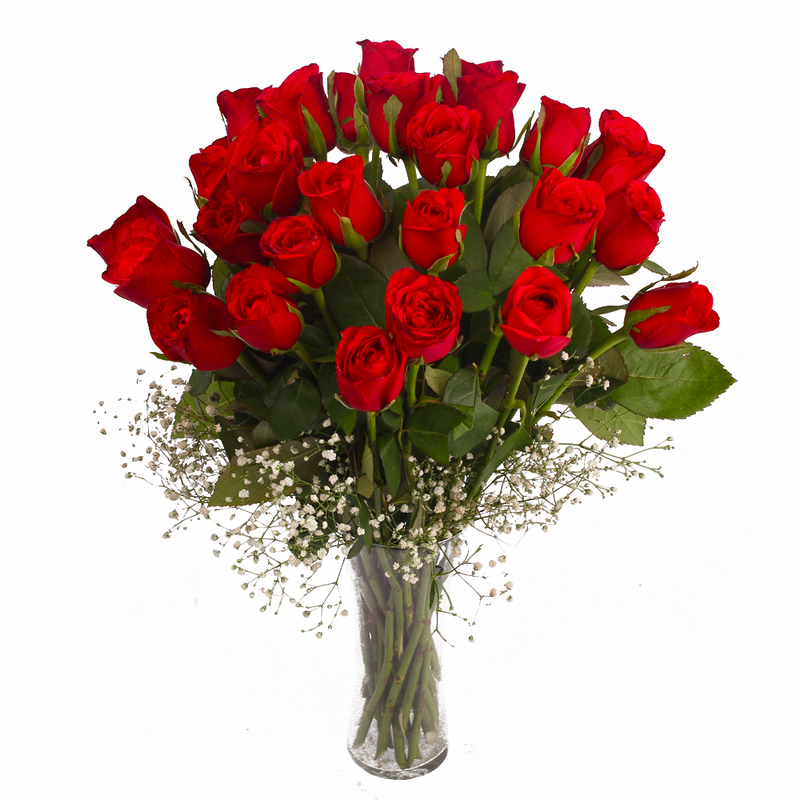 You can send the gift of lovely vase of red roses to your beloved for Valentines Day and show him or her how loyal is your love or you can make use of this beautiful vase arranged to delight your loved ones on special occasions. 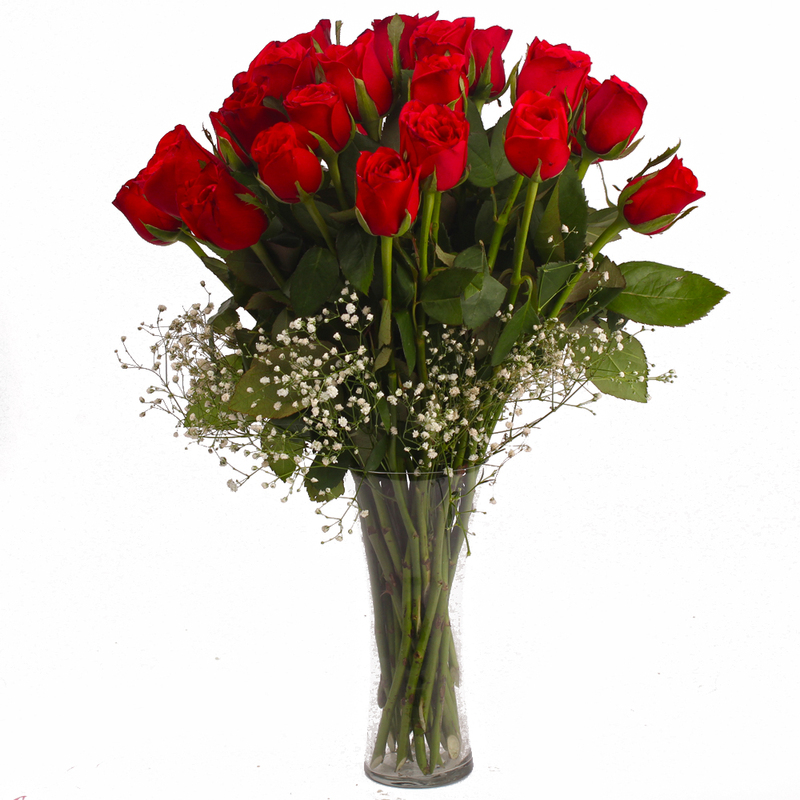 We have arranged the twenty five red roses carefully in a fabulous glass vase which looks all the more pretty with green and white fillers. 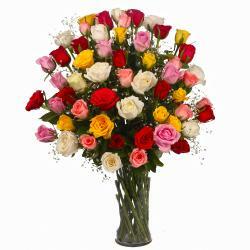 Special occasions like Birthday, Anniversary, Corporate Gifting, Dhanteras, Eid-Al-Adha, Independence Day, Housewarming, Baby Shower etc truly demand for such love filled gifts. So go ahead and place an order for it right away. 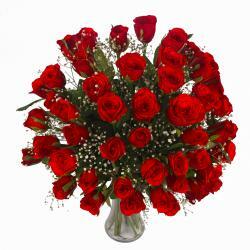 Product contains : Twenty Five Red Roses with green fillers in Glass Vase.